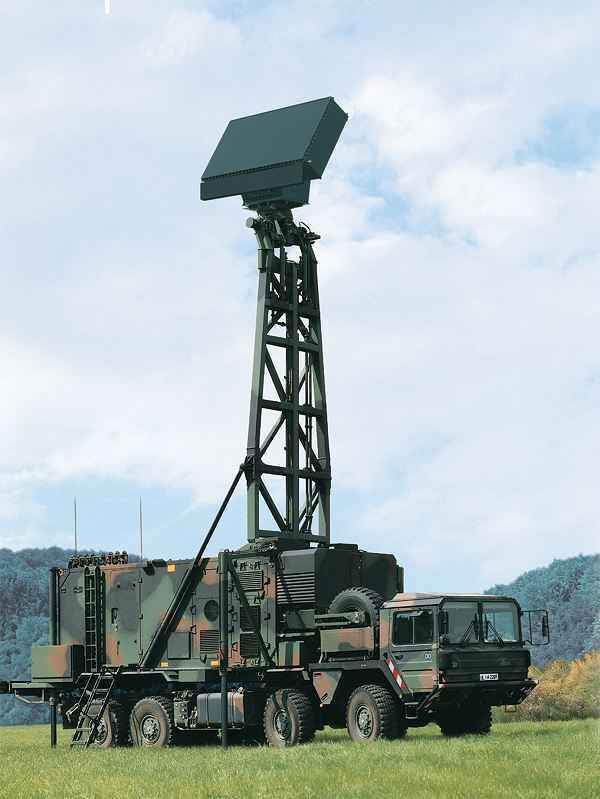 The Surveillance and Target Acquisition Radar System (TRML-3D) from EADS is a self contained mobile 3D radar system with an integrated secondary radar system and operator workstations contained in one vehicle. The system was created to be rapidly deployable and highly mobile for fast camp and decampment. The TRML-3D radar is a fully-coherent multi-mode phased array suveillance and target acuisition radar system designed for short and medium range detection and air defence. The 3D radar is capable of detecting, tracking, and classifying various types of targets with a particular emphasis on small, fast and low-flying aircraft, missiles and hovering helicopters. 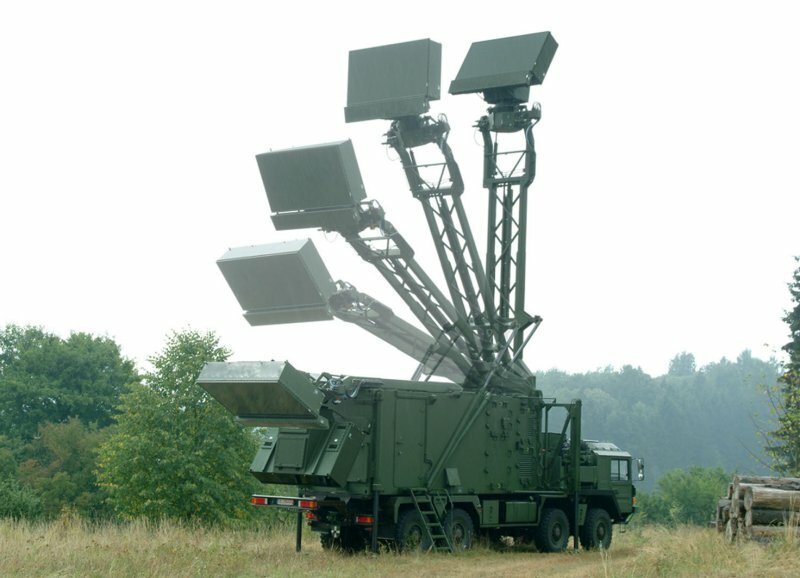 It can be deployed as a stand-alone radar or can be integrated into air defence networks in coordination with other radars and command control systems. It can operate onboard a minimum 6-axl cross-country vehicle, enableing TRML-3D to remain highly mobile, or be removed from the vehicle altogether. The hydraulically moved legs enable loading and unloading of the shelter on the vehicle without a crane and only two operators are needed for a 10 minute set-up and decampment operation. The radar has a range of 200 km and each stationary unit can communicate with two neighbouring radars.